Address Marassi Beach Resort, the second hotel project by Emaar Hospitality Group in Egypt, is bringing the standards of world-class hospitality with its idyllic waterfront location by the Mediterranean Sea, overlooking the turquoise waters of the Sidi Abdel Rahman Bay. An integral part of Marassi, the master-planned touristic and residential development by Emaar Misr, Address Marassi Beach Resort features 140 luxury rooms and suites, along the North Coast of El Alamein, the hotel is one of the 14 upcoming projects under Address Hotels + Resorts, the premium luxury hotel and serviced residences brand of Emaar Hospitality Group. With five operational hotels in Dubai, Address Hotels + Resorts has positioned its properties as a choice perfect for business, leisure and group travellers. Positioning its messaging as ‘Where life happens’, Address offers a more personal and engaging experience to guests in a premium lifestyle environment, enriching the lives of its guests with luxury, style and elegance. Address Marassi Beach Resort offers spectacular views of the waterfront with its interiors radiating contemporary elegance that uses earth-tone colours. Rough stone work, warm wood textures and smooth transparent glass contrast throughout the hotel to present dramatic finishes. The grounds are landscaped with creativity and sensitivity. A full range of experiences are provided from quiet sitting areas, private function spaces and interesting, meandering paths dotted with features. Emaar Hospitality Group is also operating Address Marassi Golf Resort + Spa in Egypt, which will offer 49 luxurious and spacious rooms and suites overlooking the 18-hole golf course. Strongly influenced by classic Tuscan-style architectural features, the luxury resort will have restaurants, a spa and pool. 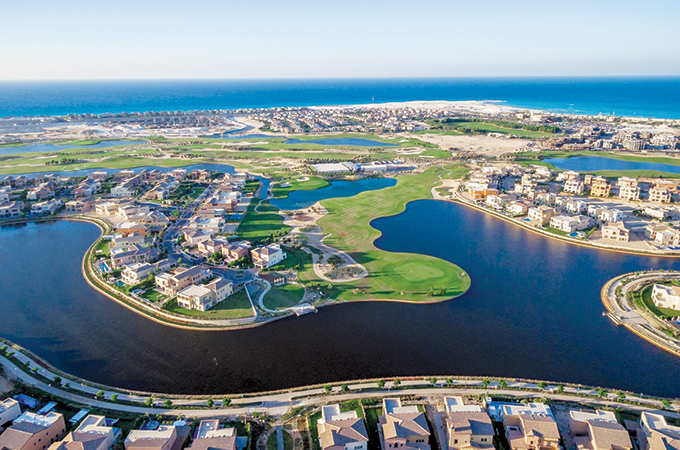 Part of the project is Address Residences Marassi Golf Resort + Spa with only 68 Tuscan-style serviced residences and a further 20 branded residences benefiting from onsite restaurants, health spa, fitness club and swimming pool.